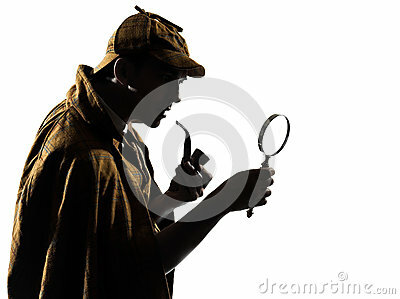 It is probably safe to say that many if not most of us are familiar with classic detective Sherlock Holmes. His creator, Sir Arthur Conan Doyle (1859-1930), actually was ambivalent about his creation, and here we will honor that sentiment and focus on an element of Doyle’s life that was much closer to his heart: his conviction that there is an afterlife and his involvement in pioneering paranormal research. Significantly, Doyle’s contributions did not end at his physical death: we will also explore the wisdom he offered the world through mediumistic communications from beyond the grave. What we can learn from Doyle has vital ramifications for our own ethical behavior and spiritual growth and offers profound comfort about death. Doyle’s biography can be found easily on the internet, so we will just present a thumbnail sketch of his long, active and multi-faceted life here. Wife Louisa died July 1906. Personally investigated two closed cases, which led to two men being exonerated of the crimes of which they were accused. Doyle had a long interest in the mystical and spiritual side of life, which took a number of twists and turns; involved such luminaries as Harry Houdini; and resulted in nearly two dozen books on Spiritualism and related topics between 1918 and 1930. A History of Spiritualism (1926) is important and note-worthy at many levels, however, even nearly a century later. Using clear, direct prose and citing extensive research, Doyle traces Spiritualism and related phenomena from the visions of the Swedish seer Emanuel Swedenborg through little-known but significant experiences of the Shakers, other early Americans, and researchers in England. Doyle provides a full account of the controversial Fox sisters, concluding that their “rappings” and other testimonies, were authentic. Doyle described admiringly the amazing career of medium Daniel Dunglas Home and the scientific research of highly respected chemist Sir William Crookes, and provided fair treatments of the medium Eusapia Palladino (who showed traces of both authenticity and fraud) and other mediums of Doyle’s time. Doyle related the story of the founding of the Society for Psychical Research and some of its early investigative work, and he covered less verifiable topics such as ectoplasm, spirit photography, and voice mediumship, taking care to point out that fraud was always possible but citing ample available facts and evidence for the phenomena. Doyle ends the book with a rational treatment of the religious aspects of Spiritualism (including harsh criticism of established clergy members’ disparagements of the movement) and the wisdom Spiritualism offers about the afterlife. It is impossible to summarize Doyle’s work here, but suffice it to say that A History of Spiritualism is a must-read, still today, for anyone interested in Spiritualism, psychic phenomena, paranormal research, and the attitudes of venerable 19th– and early 20th-century figures toward these phenomena. Doyle was a true believer and did not hide his convictions. Doyle died in July 1930. For 18 months thereafter, he appeared in a number of fully monitored and documented séances. The medium was Grace Cooke; the wisdom disseminated by Doyle from the other side via automatic writing was recorded by Cooke’s husband Ivan in Arthur Conan Doyle’s Book of the Beyond (this is the third iteration of the writings, the first being Thy Kingdom Come in December 1933, the second being The Return of Arthur Conan Doyle in 1956). While this entire tale may sound like a fabulous contrived fraud, the complicated story around the sittings, as outlined in Book of the Beyond, and the content of Doyle’s observations about the afterlife are too remarkable to dismiss out of hand. There are too many insights, in my opinion, that contradict (but are superior to) standard religious notions and/or that provide information that cannot easily be derived through normal means. Some of the many learnings are worth presenting here. Sir Arthur Conan Doyle was a gift to the world during his earthly life – and he lives on and, through Book of the Beyond, continues to dispense wisdom to us from the other side. Doyle, Arthur Conan. A History of Spiritualism, two volumes. New York: Arno Press, 1975; originally published 1926.